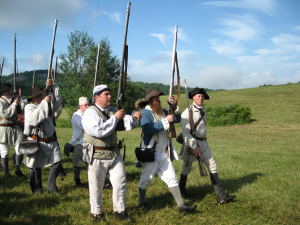 On July 7, 1777, the only battle of the Revolution to take place in Vermont was waged in the hills of Hubbardton. Here, the British met American resistance for the first time and an American rear guard helped to stem the tide of General Burgoyne’s Northern Campaign. Both sides suffered losses. 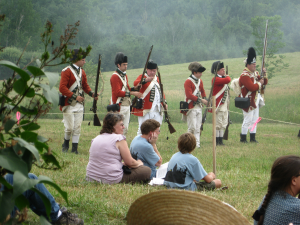 The successful action of the American rebels at Hubbardton set the stage for the major British defeat at Saratoga. 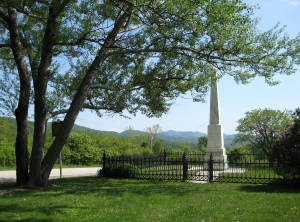 Hubbardton Battlefield Visitor Center, features an interpretive exhibit and a narrated fiber-optic map. Walking trails on the scenic hilltop battlefield include interpretive signs that outline strategic points in the engagement. Amenities include a museum shop, picnic tables and handicapped accessible restrooms. Pre-registered groups of 10 or more: $2.50 per person. Reservations required.